Up your horsepower game with the biggest, baddest blower on the market! This 3.4L Whipple Supercharger Racer Kit is the answer to all of you're horsepower needs! Up your horsepower game with the biggest, baddest blower on the market! This 3.4L Whipple Supercharger Racer Kit for your 2001-2004 F-150 SVT Lightning is the answer to all of you're horsepower needs! This direct bolt-on system dramatically lowers supercharger air temperatures and power consumption (horsepower) versus the factory Eaton roots-type superchargers as well as any other positive displacement supercharger available today. With the 3.4L Whipple Racer kit being internally lubricated, this eliminates the need for tapping your oil pan! 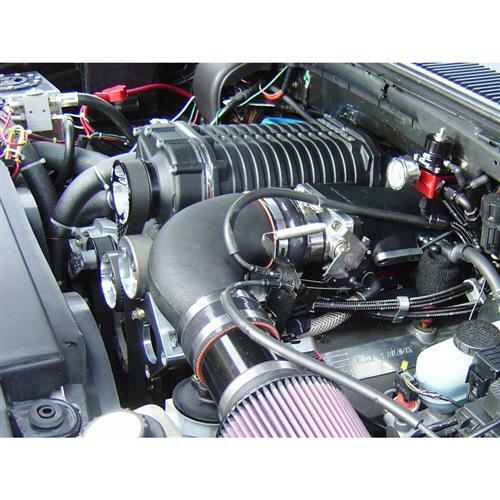 The Whipple 3.4L supercharger can over 200+ additional horsepower on the stock 5.4L SVT Lightning engine and up to 1,000 horsepower on highly modified engines! The revolutionary new W210AX HPR compressor has the ability to run nearly 30lbs of boost (engine modifications required). 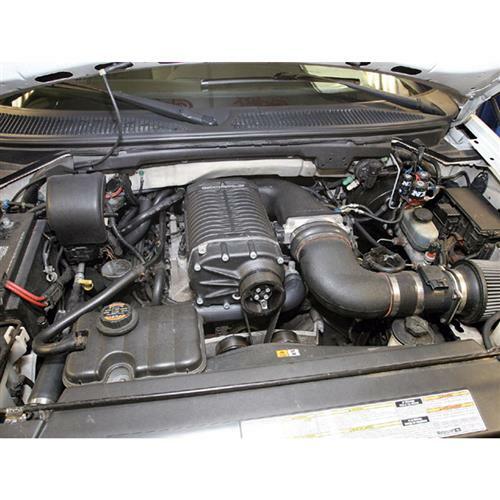 If you're looking for the end all be all of blowers for your 20101-2004 F150 SVT Lightning, Whipple 3.4L is the way to go! This complete bolt-on 3.4L Whipple Racer Kit comes with all the necessary parts for 17lbs of boost. The massive 3.4L (210ci) supercharger offers more air at lower temps while taking less power (parasitic losses) than smaller superchargers. Lower parasitic losses equal more power to the rear wheels at the same boost levels while the cooler temps equal denser air for increased power levels. The sheer size of the 3.4L Whipple allows for increased flow levels for previously unattainable power levels. The new systems also boast Whipple’s HPR (High-Pressure Ratio) housing which allows for increased performance at boost levels over 17psi. The Whipple 3.4L system comes with all the necessary parts for 17lbs of boost. This kit accommodates both factory and aftermarket throttle bodies, and there's no need to clearance the firewall or hood. The Whipple 3.4L Racker Supercharger Kit does NOT include fuel upgrades, a tune, throttle body, airbox or EGR. It DOES include the Whipple intake tube and couplers. 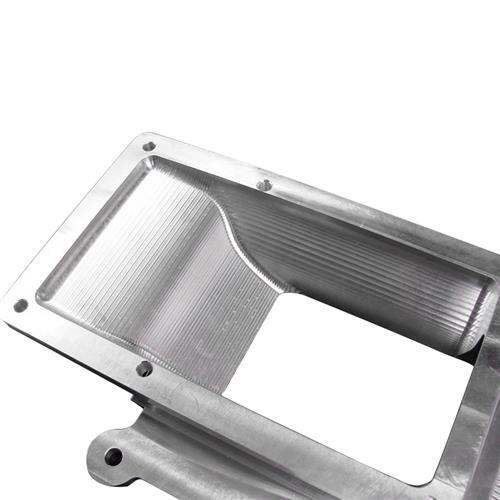 You will have to connect the intake tube to your MAF and stock or aftermarket filter housing.